The Fallacy of a Pain-Free Path to a Healthy Housing Market. While I'm on vacation, consider the comments section of this post an open discussion forum. Feel free to post any housing news, thoughts, or links you'd like. Home prices took a shockingly steep plunge on a monthly basis, an indication that the housing market could be on the verge of -- if it's not already in -- a double-dip slump. Prices in 20 key cities fell 1.3% in October from a month earlier, an annualized decline of 15%, according to the S&P/Case-Shiller index released Tuesday. Prices were down 0.8% from 12 months earlier. Month-over-month prices dropped in all 20 metro areas covered by the index. Six markets reached their lowest levels since the housing bust first began in 2006 and 2007. I'm on vacation for a little over a week. I'll be blogging again in the New Year. Home prices won’t show any year-over-year appreciation in 2011, according to the latest average of 110 forecasts from economists and housing analysts surveyed by MacroMarkets LLC. The survey shows that economists expect home prices to fall by 0.17% in 2011 as measured by the S&P/Case-Shiller index of home prices in 20 U.S. cities. 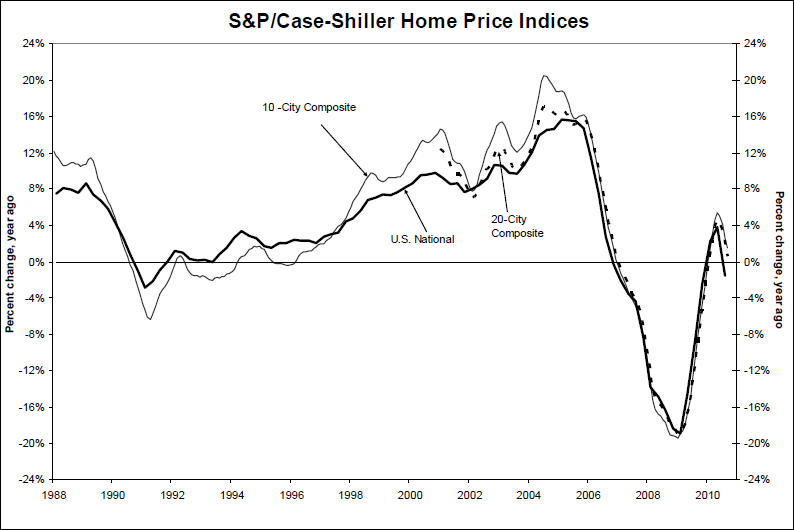 The average forecast for 2010 calls for the Case-Shiller index to ultimately show that home prices ended the year down 1.13%. Overall, economists expect home prices to rise by 7.2% over the five-year period ending in 2014. In May, that forecast called for a 12% rise in prices over the span. Everyone agrees that small business borrowing declined during the recession and has not yet returned to pre-recession levels. Lesser consensus exists around the cause of the decline. Decreased demand for credit, declining creditworthiness of small business borrowers, an unwillingness of banks to lend money to small businesses, and tightened regulatory standards on bank loans have all been offered as explanations. While we would agree that these factors have had an effect on the decline in small business borrowing through commercial lending, we believe that other limits on the credit of small business borrowers are also at play and could be harder to offset. Specifically, the decline in home values has constrained the ability of small business owners to obtain the credit they need to finance their businesses. Of course, not all small businesses have been equally affected by the decline in home prices. While many small business owners use residential real estate to finance businesses, not all do. Those more likely do so to include companies in the real estate and construction industries, those located in the states with the largest increases in home prices during the boom, younger and smaller businesses, companies with lesser financial prospects, and those not planning to borrow from banks. These patterns are also evident in the data sources we examined. The link between home prices and small business credit poses important challenges for policy makers seeking to improve small business owners’ access to credit. The solution is far more complicated than telling bankers to lend more or reducing the regulatory constraints that may have caused them to cut back on their lending to small companies. Returning small business owners to pre-recession levels of credit access will require an increase in home prices or a weaning of small business owners from the use of home equity as a source of financing. Neither of those alternatives falls into the category of easy and quick solutions. Did cheap credit and easy lending cause the housing bubble? No! Research by Edward L. Glaeser and Joshua D. Gottlieb of Harvard University, and Joseph Gyourko of the University of Pennsylvania argues that the housing bubble was not primarily caused by cheap credit and easy lending. Between 1996 and 2006, real housing prices rose by 53 percent according to the Federal Housing Finance Agency price index. One explanation of this boom is that it was caused by easy credit in the form of low real interest rates, high loan-to-value levels and permissive mortgage approvals. We revisit the standard user cost model of housing prices and conclude that the predicted impact of interest rates on prices is much lower once the model is generalized to include mean-reverting interest rates, mobility, prepayment, elastic housing supply, and credit-constrained home buyers. The modest predicted impact of interest rates on prices is in line with empirical estimates, and it suggests that lower real rates can explain only one-fifth of the rise in prices from 1996 to 2006. We also find no convincing evidence that changes in approval rates or loan-to-value levels can explain the bulk of the changes in house prices, but definitive judgments on those mechanisms cannot be made without better corrections for the endogeneity of borrowers’ decisions to apply for mortgages. Interest rates do influence house prices, but they cannot provide anything close to a complete explanation of the great housing market gyrations between 1996 and 2010. Over the long 1996-2006 boom, they cannot account for more than one-fifth of the rise in house prices. Their biggest predictive influence is during the 2000-2005 period, when long rates fell by almost 200 basis points. That can account for about 45% of the run-up in home values nationally during that half-decade span. However, if one is going to cherry-pick time periods, it also must be noted that falling real rates during the 2006-2008 price bust simply cannot account for the 10% decline in FHFA indexes those years. There is no convincing evidence from the data that approval rates or down payment requirements can explain most or all of the movement in house prices either. The aggregate data on these variables show no trend increase in approval rates or trend decrease in down payment requirements during the long boom in prices from 1996-2006. However, the number of applications and actual borrowers did trend up over this period (and fall sharply during the bust), which raises the possibility that the nature of the marginal buyer was changing over time. Carefully controlling for that requires better and different data, so our results need not be the final word on these two credit market traits. This leaves us in the uncomfortable position of claiming that one plausible explanation for the house price boom and bust, the rise and fall of easy credit, cannot account for the majority of the price changes, without being able to offer a compelling alternative hypothesis. The work of Case and Shiller (2003) suggests that home buyers had wildly unrealistic expectations about future price appreciation during the boom. They report that 83 to 95 percent of purchasers in 2003 thought that prices would rise by an average of around 9 percent per year over the next decade. It is easy to imagine that such exuberance played a significant role in fueling the boom. 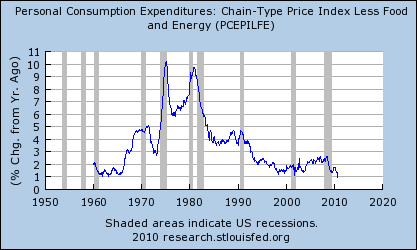 Yet, even if Case and Shiller are correct, and over-optimism was critical, this merely pushes the puzzle back a step. Why were buyers so overly optimistic about prices? Why did that optimism show up during the early years of the past decade and why did it show up in some markets but not others? Irrational expectations are clearly not exogenous, so what explains them? This seems like a pressing topic for future research. Moreover, since we do not understand the process that creates and sustains irrational beliefs, we cannot be confident that a different interest rate policy wouldn’t have stopped the bubble at some earlier stage. It is certainly conceivable that a sharp rise in interest rates in 2004 would have let the air out of the bubble. But this is mere speculation that only highlights the need for further research focusing on the interplay between bubbles, beliefs and credit market conditions. Unlike most people (including politicians and journalists who dare not blame the voters/viewers), I remember the home owners during the bubble who insisted I should buy a home because real estate is such a great investment. I remember them telling me how much their home had gone up in value. I remember them telling me I was throwing money out the window by renting. I remember being kicked out of my home because of a (failed) condo conversion by real estate investors chasing the rising prices. This is the psychology that causes bubbles! Since the collapse of the bubble, however, home buyers cannot be blamed. THEY WERE DECEIVED! THEY WERE CHEATED! Instead, they look for a scapegoat (greedy bankers) to blame for their own greedy decisions. This paper essentially says the banksters ain't to blame. As for the initial fundamental cause of the rise in home prices, I've been going with the Bernanke explanation of a global savings glut, but this paper seems to throw a monkey wrench into that one. "We don't see a full market recovery until 2014," said Rick Sharga of RealtyTrac, a foreclosure marketplace and tracking service. He said that he expected more than 3 million homeowners to receive foreclosure notices in 2010, with more than 1 million homes being seized by banks before the end of the year. In the video, Susan Wachter is misleading. Price-to-rent ratios are out of line, not just by 1890 levels, but also by 1970-1999 levels—basically all of the pre-bubble period. From 2007-2008, prices were falling rapidly until the Federal government stepped in to prop them up. Hat tip to an anonymous Bubble Meter commenter. The Founding Fathers originally said they put certain restrictions on who got the right to vote. It wasn’t you were just a citizen and you automatically got to vote. Some of the restrictions, you know, you obviously would not think about today. But one of them was you had to be a property owner. And that makes a lot of sense, because if you’re a property owner you actually have a vested stake in the community. If you’re not a property owner, you know, I’m sorry but property owners have a little bit more of a vested stake in the community than non-property owners do. And many libertarians think the Tea Party is a pro-liberty movement?! It's not. It's an anti-libertarian, social conservative movement. Despite some of the best home-buying conditions in years— affordable prices, low interest rates and lots of choices — fear of buying has infected the market. It's perfectly natural that they should feel that way in the wake of the housing bust, said Lawrence Yun, the chief economist for the National Association of Realtors. "It's like when the stock market is crashing," he said. "People are waiting to see if deals will get better." In fact, home sales are down by about 25% from last year, which means a lot of people are sitting on the sidelines. And real estate agents are having to get used to the fear of buying trend. Despite what the real estate cheerleading in the article would leave you to believe, there's still a housing bubble. In much of the U.S., homes are still overvalued. 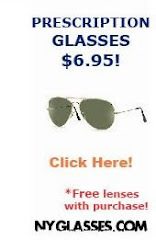 There's good reason not to buy. Data through September 2010, released today by Standard & Poor’s for its S&P/Case-Shiller Home Price Indices, the leading measure of U.S. home prices, show that the U.S. National Home Price Index declined 2.0% in the third quarter of 2010, after having risen 4.7% in the second quarter. Nationally, home prices are 1.5% below their year-earlier levels. In September, 18 of the 20 MSAs covered by S&P/Case-Shiller Home Price Indices and both monthly composites were down; and only the two composites and five MSAs showed year-over-year gains. While housing prices are still above their spring 2009 lows, the end of the tax incentives and still active foreclosures appear to be weighing down the market. The chart above depicts the annual returns of the U.S. National, the 10-City Composite and the 20-City Composite Home Price Indices. 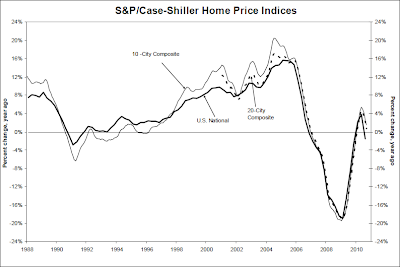 The S&P/Case-Shiller U.S. National Home Price Index, which covers all nine U.S. census divisions, recorded a 1.5% decline in the third quarter of 2010 over the third quarter of 2009. In September, the 10-City and 20-City Composites recorded annual returns of +1.6% and +0.6%, respectively. These two indices are reported at a monthly frequency and September was the fourth consecutive month where the annual growth rates moderated from their prior month’s pace, confirming a clear deceleration in home price returns.